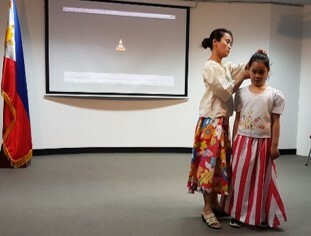 SYDNEY 29 October 2018 – With the aim to promote Philippine cultural heritage and tradition to the young generation of Filipino-Australians, the Philippine Consulate General in Sydney organized a presentation of Philippine oral tradition entitled “Inspiring the Filipino Child” on 09 October 2018.The performance covers folk songs, riddles, proverbs, and folklore. 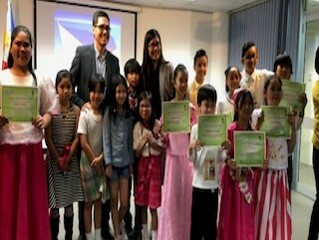 The children performers delivered their rendition fluently in Filipino language. Ms. Jinky Marsh and Miranda Zafranco perform the Alamat ng Pinya (Legend of the Pineapple). In her message, Consul Melanie Diano encouraged the Radio Tagumpay Team to keep performing a cultural show like this to inform Filipino children of their roots and heritage. The project was supported by the Tripple H 100.1 FM Radio Tagumpay, Danilo Peralta of the Knights of Rizal, Miguel Castro, Rie Manalot, Criz Guce, Jerson Cruz, Violi Calvert and Bob Alipalo. For more information, visit www.sydneypcg.dfa.gov.ph and https://www.facebook.com/PHinAustralia.